Xiaomi is all set to launch the Redmi 7 in China alongside the Redmi Note 7 Pro. This is for the first time that the company will be launching the Redmi 7 in any market. 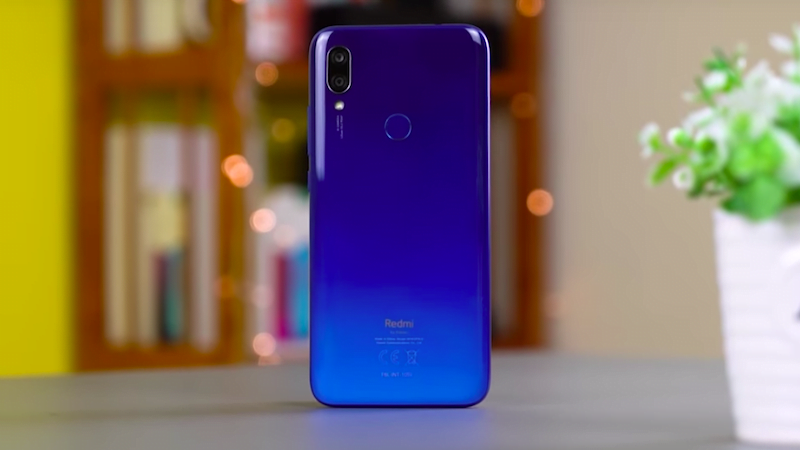 To recall, the Redmi Note 7 Pro made its global debut in India last month. In India, the Redmi Note 7 Pro comes with a starting price of Rs 13,999, the phone is expected to get nearly the same price in China as well. Xiaomi seems to be extremely enthusiastic for the Redmi 7 launch, as Xiaomi CEO Lei Jun a couple of days ago said that the company expects the phone to have tremendous success and hence the company must work towards in maximising the stock. With just a few hours to go for the launch, the Redmi 7 made its way to the Geekbench benchmarking site – Geekbench. The benchmark listing reveals almost full specs of the Redmi 7. Back in January this year Redmi (now a sub-brand of Xiaomi) revealed that the Redmi 7 would cost between 700 yuan to 800 yuan. Taking into consideration the past record, the Redmi 7 is expected to hit the Indian shores very soon. The company is yet to reveal the India launch details of the Redmi 7. The Geekbench listing shows the Redmi 7 with 4GB RAM. Past reports had suggested that the Redmi 7 will come in three variants – 2GB RAM/16GB storage, 3GB RAM/32GB storage, and 4GB RAM/64GB storage. The benchmarking listing shows the Redmi 7 with Qualcomm Snapdragon ‘msm8953’ chipset which may be the Snapdragon 625, but the phone was spotted with Snapdragon 632 SoC earlier. The Geekbench listing also reveals the single and multi-core performance scores. In single core, the Redmi 7 is seen having 1,219 points while in multi-core it is seen having 4,197 points. The Redmi 7 was earlier spotted in TENAA and it revealed the complete specs sheet of the phone. As for the specs, the Redmi 7 is expected to come packed with a 6.26-inch display with HD+ panel. For the design, the Redmi 7 will come with a waterdrop notch display and overall will look almost similar to the Redmi Note 7 and Redmi Note 7 Pro. Sadly, the Redmi 7 will come with a polycarbonate back and not Gorilla Glass 5 which is seen on Redmi Note 7 series of phones. The Redmi 7 is expected to include two cameras on the back paired with a LED flash. On the front, the phone will include a single camera that will sit inside the waterdrop notch. The Redmi 7 will also include a circular fingerprint sensor on the back panel. It is said to pack a 4000mah battery similar to the Redmi Note 7 series. On the software front, the Redmi 7 is expected to ship with Android Pie-based MIUI 10 out of the box.